In his regular Friday morning appearance on state-run radio, a noticeably heavy-breathing and grunting Prime Minister Orbán elaborated on the Hungarian government’s “Stop Soros” bill, a proposal critics argue marks the latest attack on NGOs critical of the government’s violations of human rights and international law. According to Orbán, the bill is the government’s response to its 2017 “Soros Plan” national consultation. “It is important for the nation to be unified in dealing with serious and difficult issues,” he said, adding that the government’s national consultations are the best way of facilitating such national unity. “We do not want Hungary to be an immigrant country. We want to make sure that those who organize and finance migration cannot thrive in Hungary, and we want to keep those who organize and finance migration – despite our calls for them not to do so – far away from Hungarian territory,” the prime minister said. According to Orbán, the Open Society Foundations’ George Soros “gives a bunch of money to those who organize migration. Our three-point migration proposal will create a new situation. Everyone, including George Soros, must decide whether to cease or continue organizing and financing illegal migration, but the law applies to everyone. According to the prime minister, it does not matter whether the EU or Soros are funding such organizations, what matters is whether this funding is being used to further goals that go against the position of the Hungarian people. 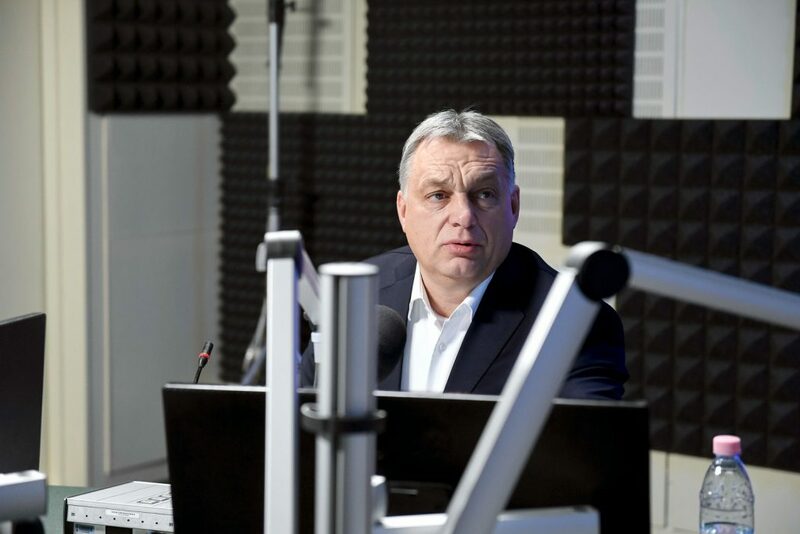 Commenting on recent news that the Hungarian government had granted international protection to some 1,300 asylum-seekers in 2017 (a sensitive topic considering the government’s intense hate-mongering campaign against refugees), Orbán reassured listeners that these people will never be Hungarian citizens because they will be sent home as soon as they no longer need protection. The prime minister also made an impassioned argument in defense of China’s enhanced presence in the region, and stated that China is a rich global power looking for investments around the world. In Hungary’s case, Orbán said, China can offer financing for projects at rates more favorable than what is available through the EU and European banks. According to him, China poses no risks to Hungary or Europe, only opportunities.